Check out the latest news on our new Regional Subsidiary, Makai Express. Just downloaded the a/c. Learning how to fly her now and using FMS. Totally different than Boeing/Airbus for sure. Where do I find the Aircraft Repaint? Awesome! We have had seasonal island hopper service in the past and the flights are a ton of fun. Can't wait to fly some of these. The paints for this have not yet been released. They are in testing and should be available very soon. Once they are released I will make a further announcement. OK thanks, makes sense. When David posted regarding downloading the a/c I mistook that for the paint. Anyway I look forward to the new service. 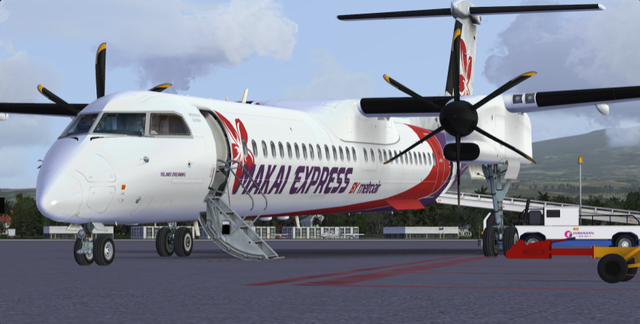 You'll love the aircraft and combined with the Makai Express service, it will be the perfect combination for sure ! Just remember to keep the power on when landing the Q400 otherwise you'll experience the reason why it is often referred to as the "Crash 8"
I’m learning the FMS now and a few other gadgets and switches. I’m getting a headache. LOL. I want to learn the basics first then I usually learn more as I go along. But looking forward to getting her off the ground. I'm right there with you David! Certainly a lot to learn with this plane. I've had a couple of successful flights, but I'm not where I want to be with it yet. 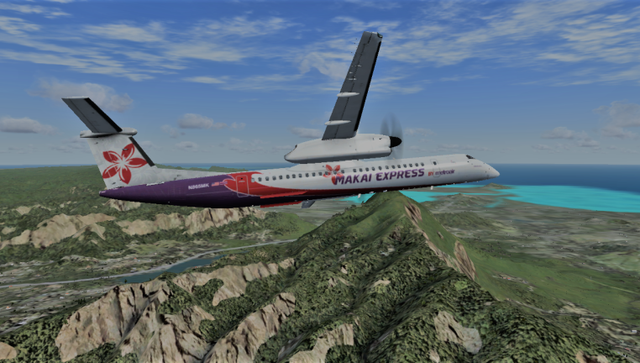 Makai Express launches tomorrow with our first Hawaiian Inter-Island flights departing from Honolulu, Lihue, Kona, Hilo and Maui. 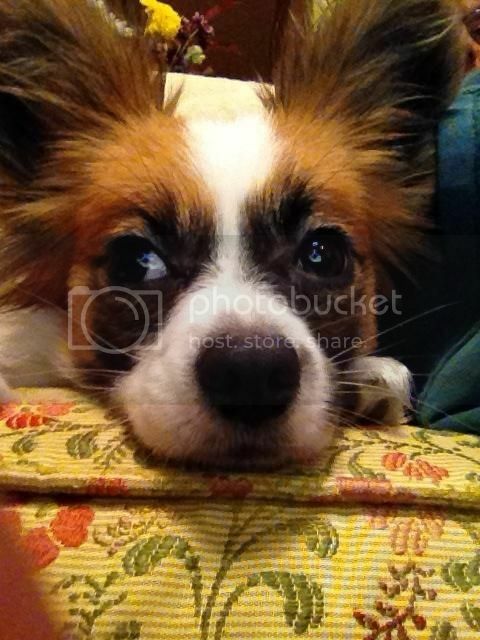 Enjoy and be sure to share all your pictures! !